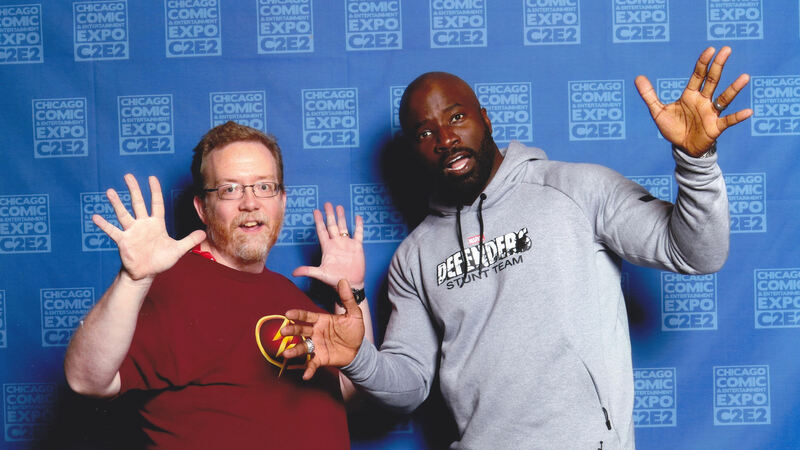 C2E2 2017 Photos, Part 4 of 4: Who We Met and What We Did « Midlife Crisis Crossover! Behold the smooth moves of Marvel’s next big thing, POWER MAN AND DOUGHY GUY. Another year, another C2E2. Another ostensible three-hour drive from Indianapolis to Chicago’s McCormick Place convention center. Another two days of nonstop excitement and occasional consternation, of fun fan interaction and occasional physical breakdown as our aging bodies struggle to keep up with our youthful enthusiasm. Another list of reasons to leave the house for the sake of celebrating the engaging interests that give us reasons never to leave the house. 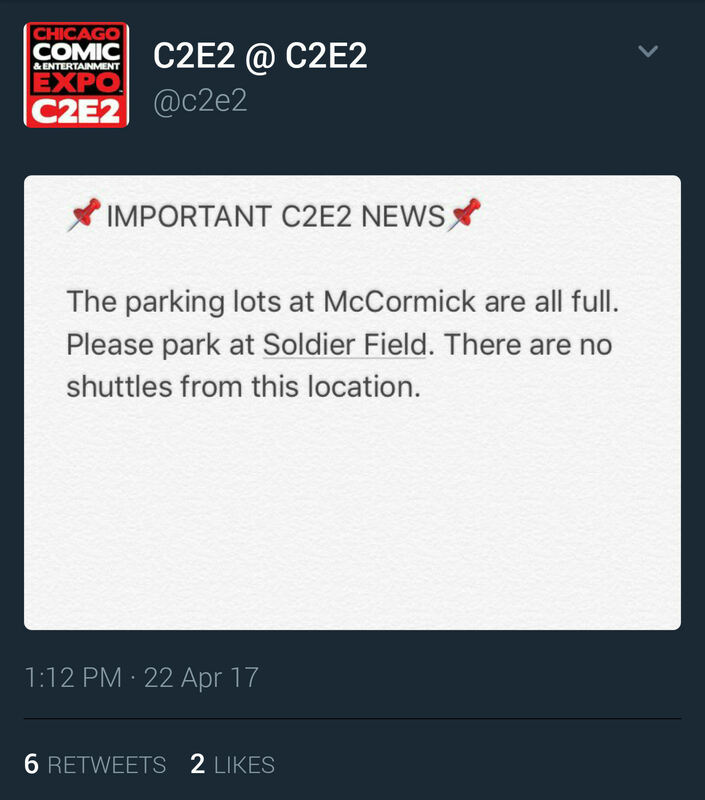 Between errand running and traffic delays (it wouldn’t be Chicago without ’em), Anne and I arrived at C2E2 a good half-hour after the doors opened at 11 a.m. By that time the convenient Lot A was full, leaving faraway Lots B and C as our only options. I’ve never had to use C as a fallback, so B won because I knew how to get there without using my phone while driving. 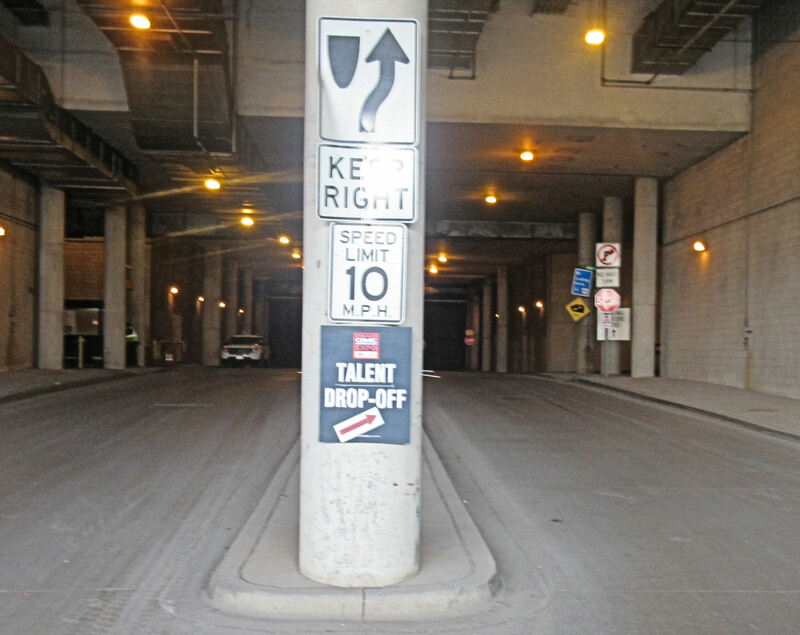 Lot B is on the south end of the McCormick’s South Building, which curiously has no south-facing doors. Con attendees save a few bucks in Lot B over the other lots, but also give up several energy bars walking all the way to the north end of the South Building just to get in. So logical! Temperatures were in the high 40s/low 50s and sucked extra energy from those of us who hate wearing jackets to cons, as if the extra blocks weren’t draining enough in themselves. On the upside, I found the super-secret spot where the big-name Hollywood guests enter and exit the con. Unless this is a decoy entrance meant to distract us from the real celebrity entrance. The lack of wandering groupies does seem odd. Much of our Friday schedule was planned in advance and covered in Part 3: the Tim Zahn Q&A, followed by his autograph signing, capped at the end with the Image Comics panel. In between was our first shopping run through Artists Alley, seeing how many books I could buy and carry before my spine snapped in half. I deliberately use a small convention bag to limit my literature sprees, but it’s surprising to see how many items can be crammed inside it as long as I don’t buy anything taller than a graphic novel. Thankfully Anne brought the ibuprofen. I’m also grateful she came to my rescue when I turned incoherent at the sight of one of the biggest names hanging out in Artists Alley all weekend. He’s a lifelong comics fan who’s recently gotten into the game himself, but you might know him better from his day job. So this is DMC. The DMC. From Run-DMC. 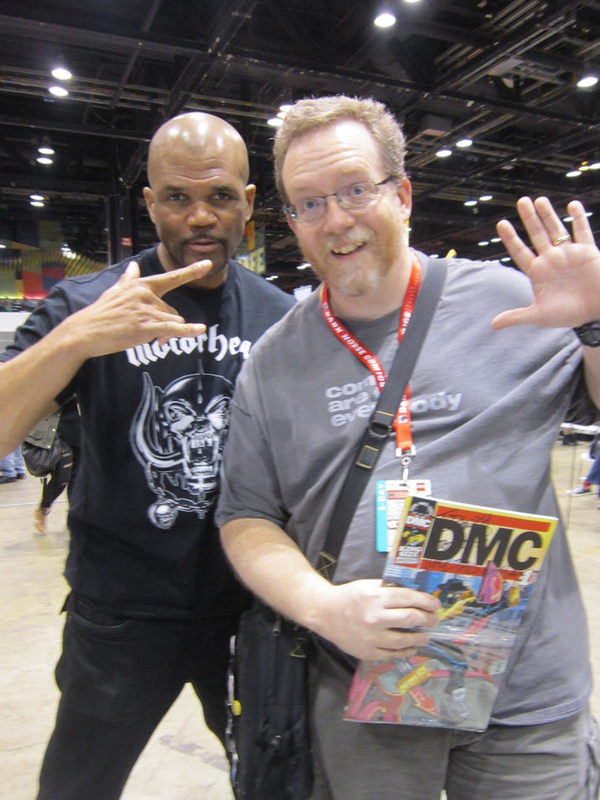 Yeah, that Run-DMC. If you don’t know the name, ask someone who’s very much Of The ’80s to narrate. And there he is, one of rap’s mainstream breakthrough pioneers, just chilling and selling comics to dorks like me. Anne had no problem skipping past the whole musical fame thing and asked him about his favorite heroes, which kept him going for a while. I babbled about how our two trips to Manhattan helped bring the geography of old Marvel stories to life. For DMC, DC was okay but he loved seeing New York City representing in the pages of Marvel back in the day, that backdrop all the heroes called home just like he did. And there we were, two comic fans just talking comics. Best of times. Once the Image panel ended shortly before 5 p.m., the two of us were more than ready to call it an early day after the long drive and the longer walk from Lot B. The walk back to the car didn’t get any shorter or warmer. 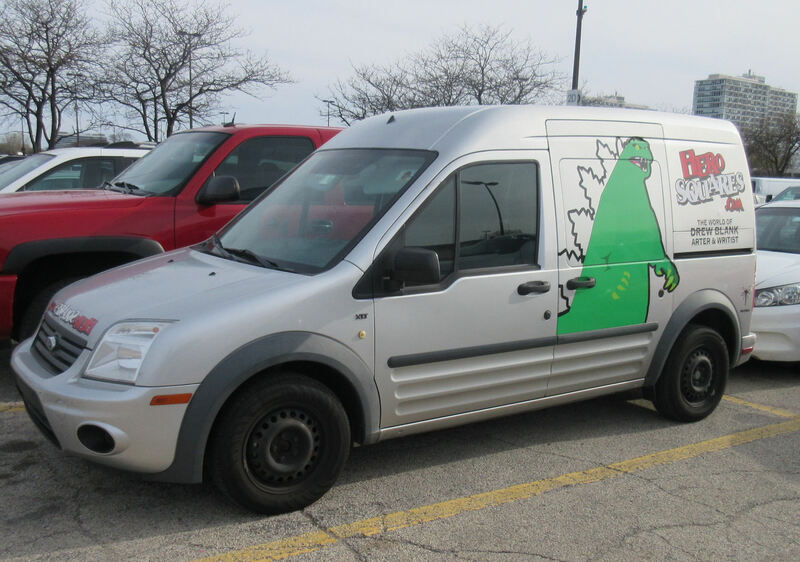 At least one Artists Alley entrepreneur arrived in Lot B in style. And as late as we did. Our hotel experience will have its own MCC entry at some later date, but for now suffice it to say we didn’t stay within walking distance of McCormick and made the mistake of trying to drive in the middle of Chicago rush hour. It’s not as dangerous as it sounds because most of the time everyone’s cruising at zero MPH in motionless gridlock. If nothing else, it gave our Friday another bookend of lengthy driving. * Friday breakfast: leftovers scrounged up at home. * Friday lunch: White Castle drive-thru in Merrillville, Indiana. * Friday dinner: the Shake Shack on Chicago’s Michigan Avenue, across the street from Millennium Park. It shares the same building as some posh club. It’s 100 times better than Manhattan’s Shake Shack near Times Square, except for the part where Anne asked for napkins from an employee, who opened their lobby cabinet only to have a half-eaten apple roll out at them. * Saturday breakfast: the McDonald’s on MLK Drive south of McCormick Place, the closest breakfast joint to C2E2. * Saturday lunch: the McCormick Place barbecue stand, our favorite source of protein on the show floor and one of the reasons why they have the second-best food of any convention we’ve ever attended. * Saturday dinner: gas station donuts on the nighttime drive home. Or as I called it, “breakfast for dinner”. It sounds cooler and less slovenly that way. 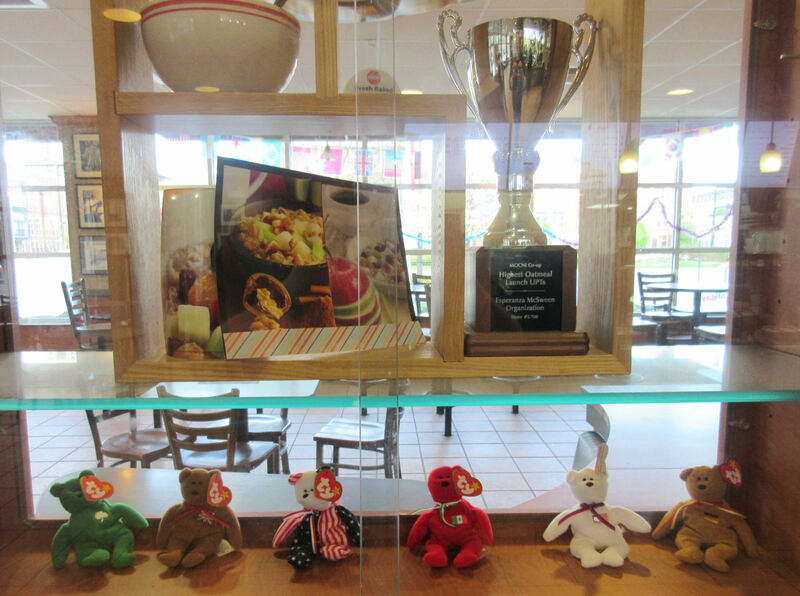 The decorations at the MLK Drive McDonald’s include a trophy in honor of their top-notch oatmeal sales, and a selection of Teenie Beanie Babies. Remind me someday to tell you my horror stories about the latter. On Saturday we arrived shortly before 8 a.m. and ensured ourselves a spot in Lot A on its absolute best possible level. Our extremities still ached from the day before, but we had many more missions ahead of us. C2E2 is desolate and peaceful before the mirth and the madness begin. First on my list: actor Vincent D’Donofrio! You might remember him from such films as Full Metal Jacket, Men in Black, Jurassic World, and dozens more, in addition to starring for several years on Law & Order: Criminal Intent. To many geeks he’s now Wilson Fisk, the Kingpin from Netflix’s Marvel’s Daredevil. His photo op was later in the afternoon, but his autograph line was my first stop as soon as the flood gates opened at 10 and let us stampede into the exhibit hall. I was eighth in his line, where I had to wait another 80-90 minutes, slightly later than scheduled due to an pickup error on his driver’s part. Very mellow guy that morning. How mellow? Mellow enough for jazz hands. Less mellow were several fans around me who got incensed when we saw an older gentleman in dealer garb and a Panama Jack hat trying to cut in line with a wheeled crate full of merchandise for various guests to sign and upgrade in value for him. His story to the line monitor had something to do with trying to accomplish this line and meeting legendary superguest Stan Lee ’round noon-ish on the opposite end of the long, long exhibit hall. As he rifled through the pretties in his crate, I noted an issue of New Mutants that would probably be foisted upon Rob Liefeld later that day for a fee. Those of us who’d put in the effort and the hours to be first in this very line took out our nicest tiny air-violins and played quite the symphony for the intruder. To C2E2’s credit, the line monitor let everyone in my line of sight go first before him, me included. I’ve no idea what happened after I left. Otherwise I was content with my experience at meeting Private Joker, the failed soldier who most damaged my mind as a teen. Because of driver shenanigans, D’Onofrio wasn’t the first actor to arrive, but he wasn’t the last. I mentally awarded bonus points to Michael Cudlitz, a.k.a. Abraham from The Walking Dead, who arrived some 15-20 minutes early and began signing away for happy fans, even hanging out on their side of the table. 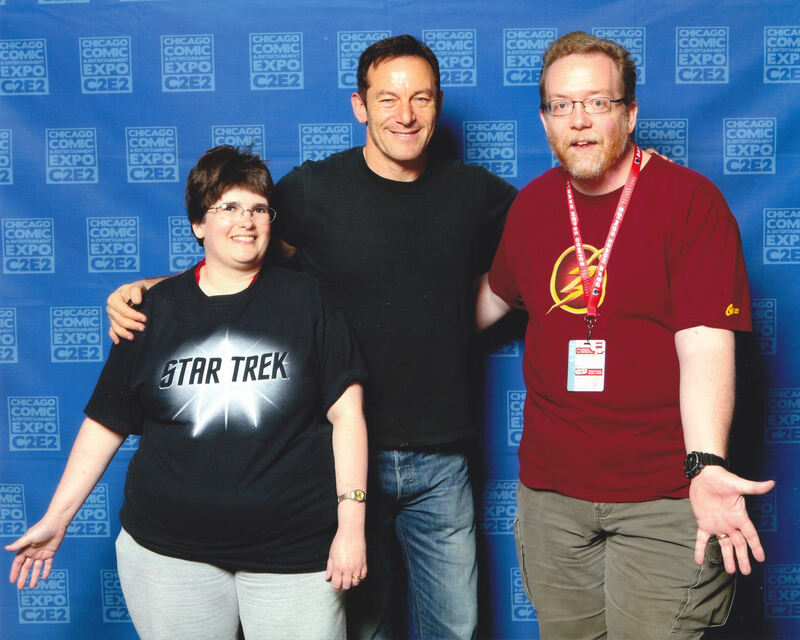 Our own next participant was right on time: Jason Isaacs! You might remember him as Lucius Malfoy from Every Harry Potter Ever, the short-lived NBC drama Awake, the Peter Pan remake my wife utterly loved, and more more more. Soon he’ll be navigating a different ship as a Starfleet captain in the new series Star Trek: Discovery. Anne prefers her Trek captains dignified, so we let our hands rest for this one. Isaacs’ first autograph session followed his photo op. While Anne grabbed a place in his next line, I veered off for my own thing: that lead photo way above with Mike Colter, the star of Netflix’s Marvel’s Luke Cage. He’s much taller than I am, no less buff in person than on TV, and was up for throwing our hands in the air and waving ’em ’round like we just didn’t care. But “jazz hands” is shorter, so I asked that instead and he said yes. Several friends and coworkers who’ve already seen that pic insist he’s dreamy and wouldn’t stop staring at his half of the pic. My wife still thinks I’m cool, at least. From there I rejoined Anne in Isaacs’ autograph line and checked notifications for a while. Stan Lee’s line, which had been capped at least three times on Friday, had been capped yet again. Likewise for Wil Wheaton and Agent Simmons from SHIELD. It wouldn’t be the last time Stan’s line had to be cut short. 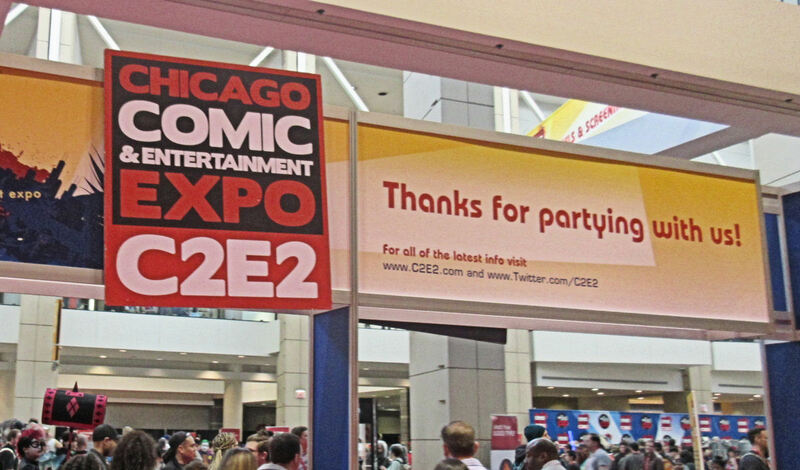 C2E2 was advertised as “his final Midwest convention appearance”. Every time we walked past Table 27, the Nation of Stanland never saw a single moment of population decrease. Meanwhile outside, after 1 p.m. the parking lots were also capped. All of them — A, B, and C. No more spaces to be had unless you parked elsewhere in Chicago and relied on mass transit to take you the rest of the way. I’m fairly certain that’s a first, and certainly good news for C2E2’s dreams of becoming our own private San Diego. Bad news for any would-be attendees who thought getting into a comic con was as easy as heading over to their nearest Walmart. Hey, kids! Who likes walking? Sure hope there’s a show of hands! Soon Anne had her turn bending Isaacs’ ear and got to compare notes on the psychological ramifications of Peter Pan renditions in which the dad and Captain Hook are played by the same actor, and what this means to Wendy. Anne loved the 2003 film version in which Isaacs made those very roles his own, and she was surprised to discover he was at least as fond of it as she was. The ensuing minute or two of actual conversation between them was one of the most fascinating we’ve encountered yet in an actor’s line. If nothing else, it was probably a relief for him to talk about something besides Harry Potter. By mid-afternoon McCormick was packed with thousands upon thousands of fun-lovers and roamers and scholars and groupies and hangers-on, shifting and shuffling and sliding past each other at the speed of turtle. At times we were exactly like Chicago interstate gridlock, but stewing in our exhaustion instead of spewing out exhaust. Navigating even the widest walkways became a challenge through those gallivanting hordes, as did some of the narrower Artists Alley aisles I’d insisted on revisiting. If you’re wondering why we posted “only” forty-odd costume pics, it’s partly because our other activities kept us too preoccupied, but mostly because pausing for posing became a health hazard. If you braked, you were crushed. The lines to the first nine or ten autograph tables (out of 27 in all) as seen mid-Saturday from the second-floor cafe. We had a bit of extra wandering time on our hands because one of my photo-op sessions was postponed by two hours. 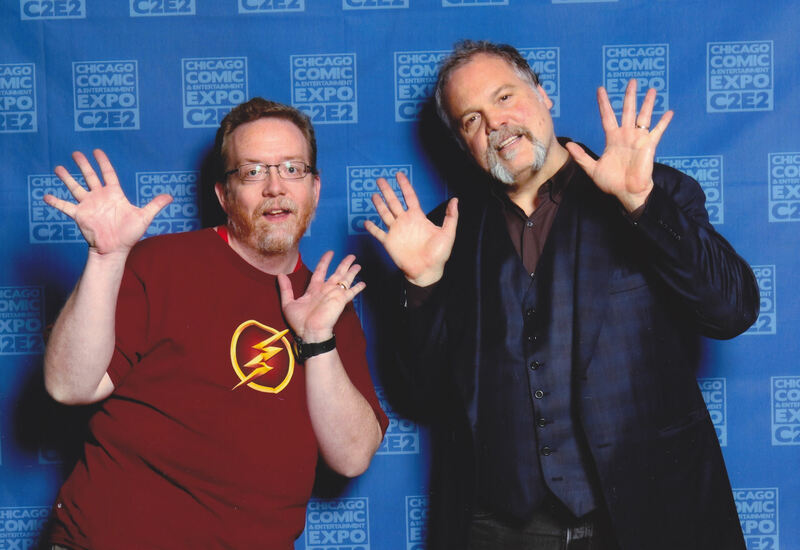 Part of that time had already been allotted to the D’Onofrio photo op, but not all of it. His line largely passed without incident, though in a bit of fun timing I recognized a former line buddy from two of our past conventions, a dealer with his own wheeled crate of valuable artifacts for signing and the civil decency to wait in the lines and plan accordingly like the rest of us do. Because that is how the game is played. Even after a second slog through Artists Alley, I picked up a few extra items but missed a few big names I’d hoped to meet. With crowd density refusing to ebb pretty much from open to close, I couldn’t convince myself of a third try, let alone Anne. That mid-afternoon rib-cart lunch made a difference, as did a second stop later at an ice cream cart, but we were running low on steam despite the meat boost and the sugar influx. 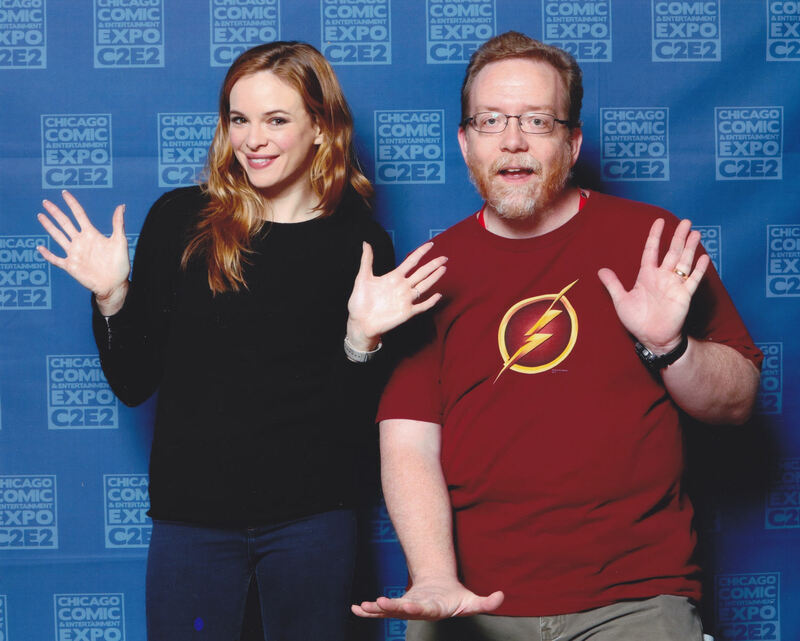 But I had to summon up another gust of energy anyway for that one last photo-op: Danielle Panabaker! a.k.a. Caitlin Snow, a.k.a. Killer Frost from The Flash, my favorite show on The CW. We haven’t been seeing too many guests from Barry Allen’s crew yet at our cons (well, except one), but I’m more than happy to welcome them to our world. It’s been rough watching Caitlin’s slow descent from Lawful Good science into super-villainy. Obviously what she needs to snap out of it is a good, jazzy dance number. The Panabaker experience was the final item on our checklist. If we wanted to, we could’ve fled the premises right then and there, and called it a complete experience. There was just one little thing we hadn’t done yet: the actual exhibit hall. Like, at all. The publishers, the dealers, the artists who insisted on separate floor space far away from Artists Alley, the back-issue bins, the toy collections, and of course the all-important T-shirt shops that make my photos less unbearable to the casual viewer. We’d been so busy, we’d seen none of that all weekend long. I’d hoped the crowds would’ve thinned out later in the day, whether emptied out in favor of more awesome activities or just abandoned by tired quitters in pain. No such luck. Thus we joined the fray for one and only one death march up and down the aisles of C2E2 proper to see what else was left to be seen, and to purge my system of any last geek shopping urges. By and large the publishers’ freebies were underwhelming, but occasional stray sights caught my eye. And I did buy a few more things, including a Borderlands shirt, so our last several miles of aching, creaking footsteps weren’t all in vain. 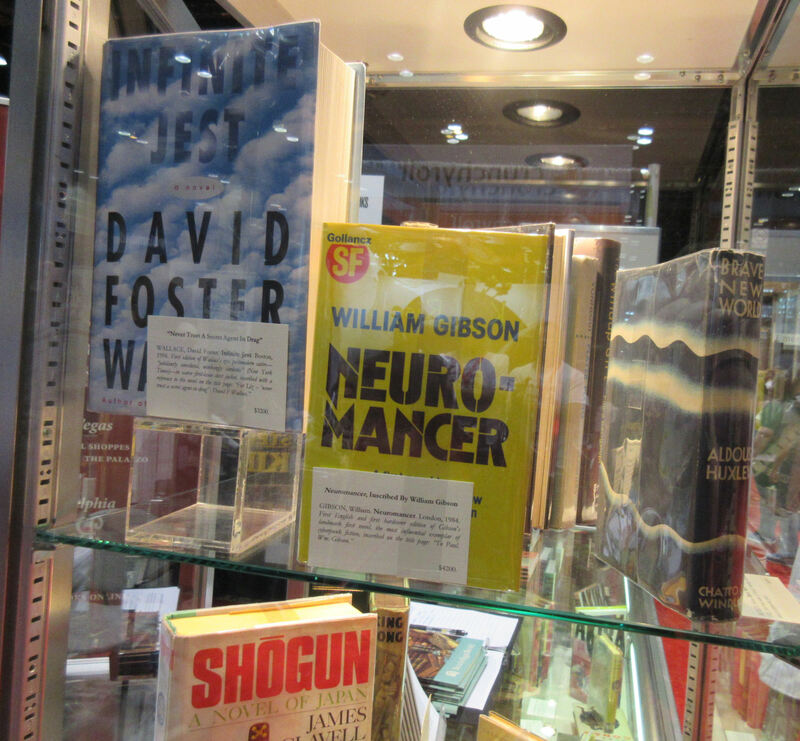 Bauman Rare Books shows off some of its autographed first editions for the high-end collectors and the low-end dreamers like us. 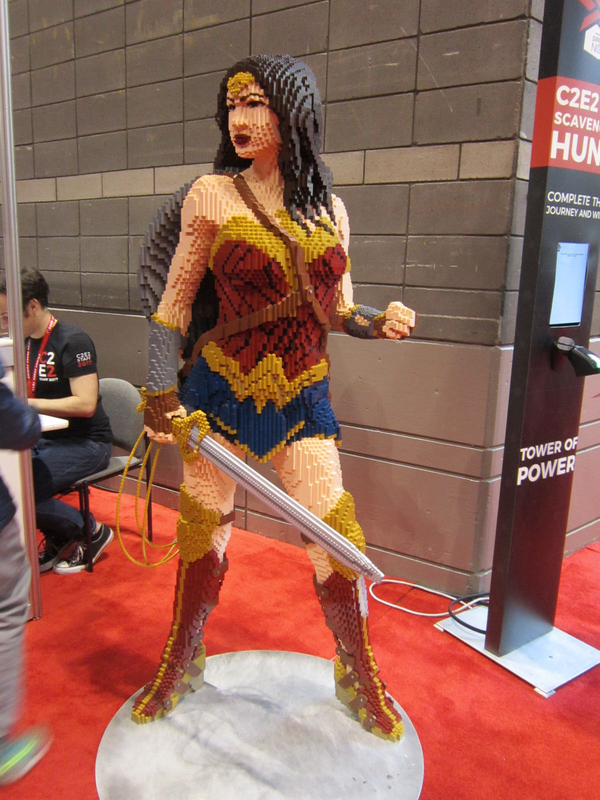 Lego Wonder Woman stands guard at the gate, trying her best to remind us her great big movie’s coming to theaters June 2, which isn’t as far from now as it used to be. 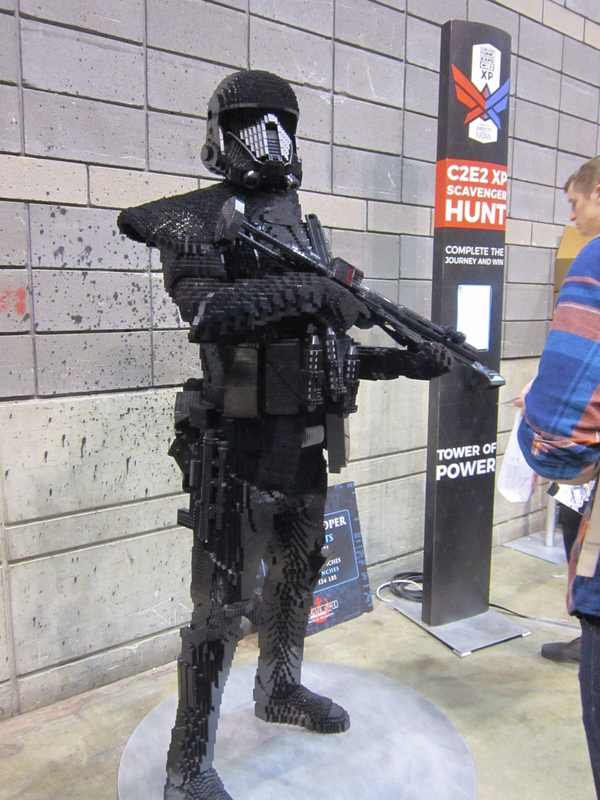 Lego Shadow Trooper, or Darktrooper, or Night Trooper, or Obsidian Trooper, or whatever. Anne’s Star Wars senses are a bit dulled since she hasn’t been keeping up with the new canon. 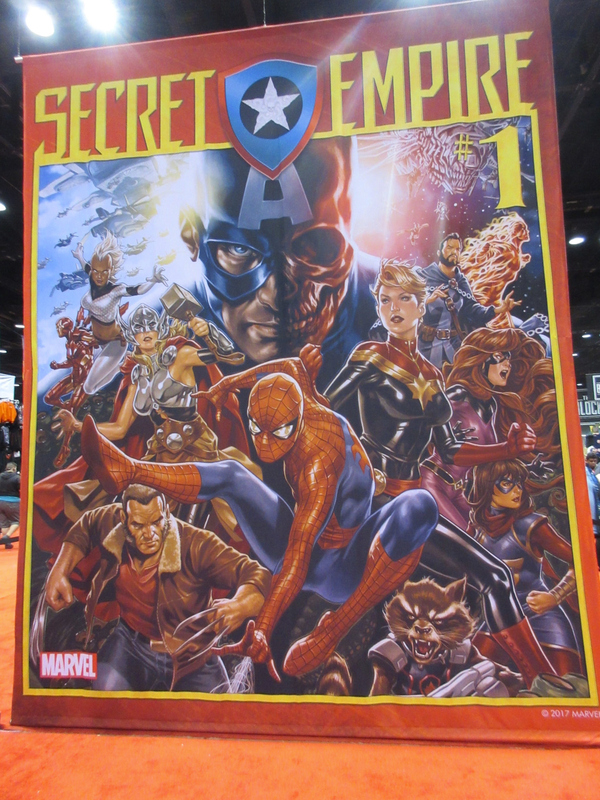 As always Marvel had the grandest booth of all, but wasted part of it trying to convince anyone with money to buy in to this summer’s next summer blockbuster comics crossover event, Secret Empire, in which Hydra Steve takes over America. I don’t do crossovers anymore, but hey, big poster. 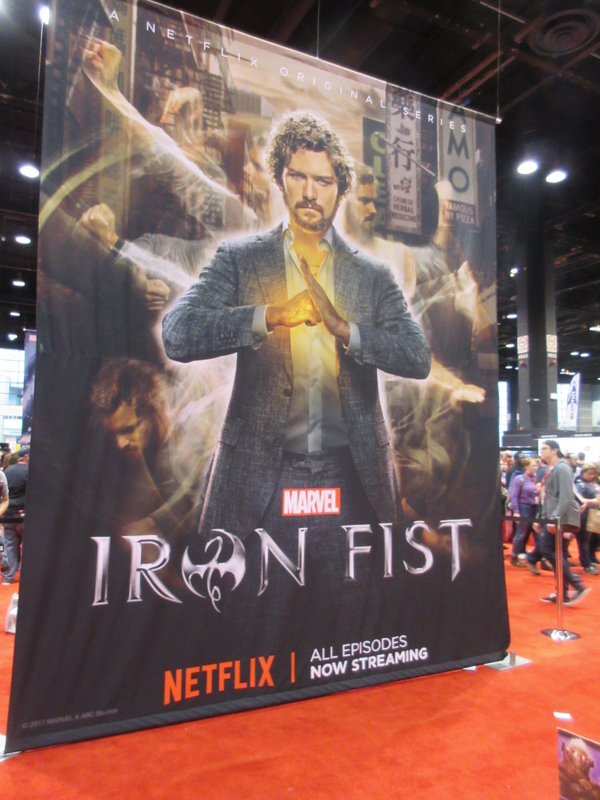 Marvel’s boundaries also included a giant-sized Iron Fist ad. The show’s weaknesses notwithstanding, at least it wasn’t a summer blockbuster comics crossover event. Advantage: Danny Rand, amateur pharmacist at large. We finished up less than half an hour before closing time, rushing through the last two rows with fewer glances given to the remaining merchants in our way. 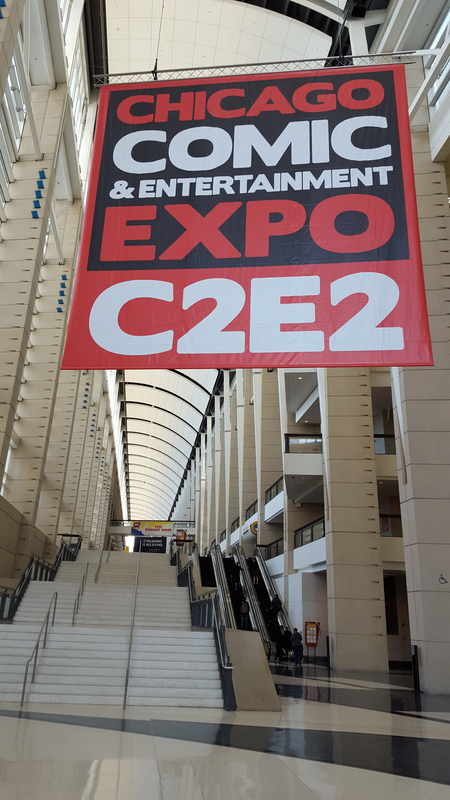 As with all such large-scale mountains of fun and goodness, our C2E2 weekend had to come to an end. Our retreat to Lot A and our effortless departure from Chicago and Illinois went without incident and nearly no gridlock, possibly because thousands of people were still trapped in the Nation of Stanland, refusing to leave without fulfilling their hopes of that one last brush with mighty Marvel greatness. The End. Lord willing, we’ll be back next year. The gateway to everyday mundanity, through which we brought all the memories and inspirations we could carry back with us. Follow Other MCC Misadventures Online! Click here to receive alerts whenever new content appears like magic! 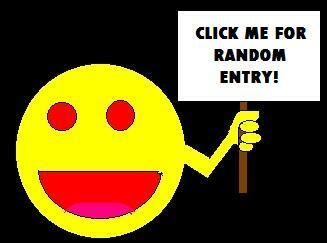 Click the Rerun Smiley for an Oldie from the MCC Archive! Midlife Crisis Crossover by Randall A. Golden is licensed under a Creative Commons Attribution-ShareAlike 3.0 Unported License. All text-based material published as Midlife Crisis Crossover is © 2012-2018 Randall A. Golden. Except where otherwise attributed or excerpted for entertainment purposes under Fair Use, all other photographs are © 2012-2018 Randall and Anne Golden. All rights reserved, except where granted under the terms of the Creative Commons Attribution-ShareAlike 3.0 Unported License. If your act of sharing results in tangible benefits, it'd be awfully decent of you to PayPal me a cut.